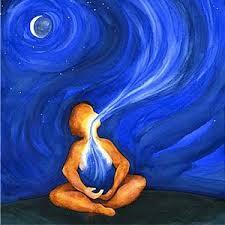 There are four aspects of prana – inhalation, exhalation, inhalation retention and exhalation retention. According to the sutras, kumbhaka (retention) is the focus and the aspiration of controlling our breath. Sutra 52 states that with enough dedicated pranayama practise the “veil” can be lifted, allowing you to see beyond what you normally perceive and inherent psychic faculties are released and ‘…life force can be activated and regulated in order to go beyond one’s normal boundaries or limitations and attain a higher state of vibratory energy and awareness,’ Asana Pranayama Mudra Bandha, by Swami Satyananda Saraswati. Prana (energy or life force) resides in or rides on the breath and breath is important to fuel it through the body and influences the flow through the nadis. Humans average about fifteen breaths per minute (over twenty thousand per day) but advanced and long practising yogis predominantly breathe about one or two breaths per minute. Treat the breath like taming a wild elephant. you use up all those breaths you will expire, hence their encouragement to slow breathing right down and encourage deeper, longer breathing to ensure a longer, healthier life. It’s no coincidence that animals like the tortoise and elephants have long life spans and a very slow breath rate, whilst rabbits and birds don’t live as long and their breath rate is far more rapid. ‘It is said that prana is like a wild elephant. 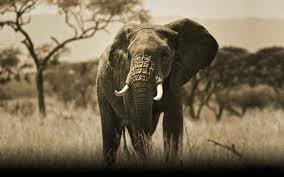 If you are wanting to tame the prana, you will have to take as much care as you would while taming a wild elephant. There must be steadiness and patience; there should be no hurry or haste,’ Four Chapters on Freedom, by Swami Satyananda Saraswati. The breath carries oxygen into the body which powers muscles, mental processes and gland function and contributes to pretty much everything that our body does. The benefits of proper breathing are better heart health, more energy and vitality, a clearer mind and better mental function, improved circulation, purifies the body of toxins and can increase concentration (which is particularly useful for deep meditation). It also greatly helps with stress and offers deep, genuine relaxation. Respiration is intricately linked to the mind – have you ever noticed your breathing slow down when your mind does or vice versa? ‘There is an intimate connection between the breath, nerve currents and control of the inner prana or vital forces,’ The Science of Pranayama by Swami Sivananda. ‘If you would foster a calm spirit, first regulate your breathing; for when that is under control, the heart will be at peace; but when the breathing is spasmodic, then it will be troubled. Therefore, before attempting anything, first regulate your breathing on which your temper will be softened, your spirit calmed,’ Light on Yoga, BKS Iyengar. NB: It is vital that you practise pranayama exercises under the skilled guidance of a competent teacher and not all practices are appropriate for beginners or those in poor health.